It shouldn’t be this way, but for some businesses, customer retention takes precedence over customer acquisition. When you analyze a company’s behavior on Facebook, the content they share, the amount of ad campaigns they run, and their engagement and follower growth rates tells a lot about what their social media marketing strategy is. You’ll sometimes notice that businesses use social media platforms as if they’re personal accounts, being friendly and trying to retain already existing customers, rather than actively searching for new consumers to increase sales. This strategy is evident in the automotive industry, as car dealerships spend very little time seeking new customers, and would rather stand pat with the number of followers they have on their social media pages. Car dealerships’ Facebook pages for the most part lack every important characteristic of a healthy business that sees sales through social media efforts. There’s no growth in likes or engagement, no ad promotions, lazy content curation, and a troubling lack of commitment and consistency to their social media accounts. The content that is shared is geared more towards current customers who already purchased a car recently, as opposed to potential car buyers who haven’t made a decision on which vehicle they’ll purchase next. When all put together, these ingredients create a perception that sales for car dealerships on social media is impossible, which is not the case as dealerships refuse to stick to or find a strategy that works for the clientele they’re marketing to. There’s absolutely nothing wrong with customer retention as customer equity is key to the long term survival and success of the dealership. 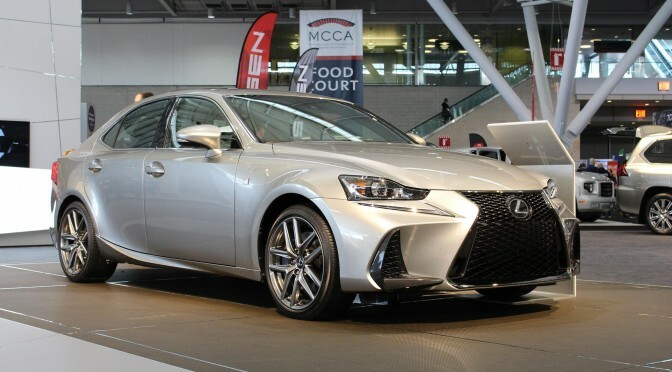 The problem however is the fact that most car buyers aren’t likely to trade in for newer models until two or three years down the road at the earliest, so you’re banking on your content to retain the attention of your customers to your brand so they do return. How about creating content and ad campaigns that achieve both customer retention and customer acquisition? You’ll be appealing to more than one type of consumer, and while you’re drawing in clientele, you’re also retaining the customers who recently purchased a car from your dealership. How can you change up your social media marketing strategy to see results in 2017? Create digital media, whether it be photos or videos of the cars you sell, and use ad campaigns to reach new people. Seeing as though Facebook and other social media platforms have changed their algorithms, organic reach has been limited, which means it’s a must to either boost your posts with $5 – $10 per day or create weekly ad campaigns to grow and expand your content’s reach and influence. Dealerships primarily share non-native content, usually sharing links to car magazines or news organizations that review the brand’s vehicles, or news related to the cars that the dealership sells. This form of content isn’t effective and it’s quite clear when you look at the lack of engagement. Instead, post pictures and videos that provide value to consumers such as specifications of the car, safety features, fuel efficiency, while also displaying your vehicles in a good light. Car magazines aren’t biased, which means their reviews could lead customers to rival brands. It’s your job to sell potential car buyers on the cars you sell, not the magazine’s. Ad campaigns then reach people who are in the market for a car if you advertise effectively and know your target audience. Sales can not be generated without marketing, and even though dealerships have been accustomed to marketing themselves on television and radio rather than the cars they’re selling, on social media both have to be the center of attention to acquire new customers on Facebook or other platforms. A majority of car dealerships try retaining customers, and they’re failing at it. Be proactive and start actively searching for new car buyers. You cannot see any growth on social media by sporadically posting content on your accounts, and being uncommitted to this form of marketing. 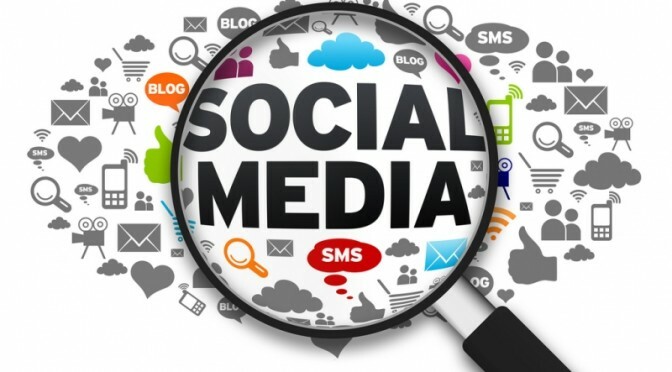 Social media marketing hasn’t been seen as a legitimate form of online sales, not because it doesn’t work, but car dealerships only stick to what they know best; television, newspapers, and radio ads. It’s time to market in the year that we’re living in, and treat social media the same way you do with traditional advertising. The time to increasing car sales is now, so change up your strategy on Facebook, Instagram, and Twitter, and start seeing results today. What if I told you that memes are the most undervalued, misused, and overlooked marketing tool for businesses both big and small? A picture with a funny caption, motivational quote, or words that create pride for a certain group can be the most powerful use of communication between companies and customers, and the social media manager and the followers who like or follow the page. Memes are often looked at as non-professional in the business world, but the companies who effectively use them, could very well see a strengthening bond between them and their consumers. If you’re on Facebook, you’ll see your friends post memes. Often these pictures have a theme that makes the poster prideful in what he or she believes or what they consume and own. I often engage with the local car scene being a car enthusiast. Owners of Honda Civics will post all the content they can find that assures them they have the best car. The same goes for Mustang owners and any other car brand you can think of. So why aren’t businesses doing the same? 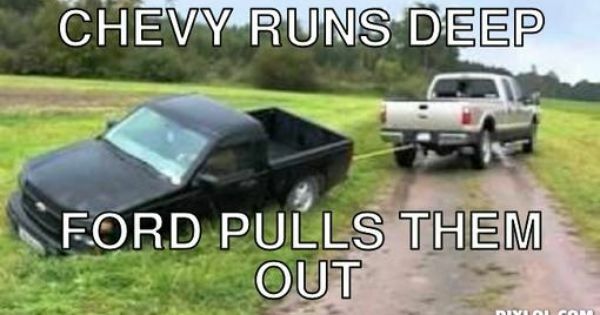 Taking a jab at Chevrolet, a Ford pickup truck owner created a meme that shows a Chevy pickup getting pulled out by the more dominant Ford. While at the corporate level, Ford’s official social media accounts probably wouldn’t post such a picture, not only to save face, but getting into a Twitter war, or Facebook feud, would come across as very childish and unprofessional. But for a Ford dealership, creating a similar post that may not be as straightforward, might be a good way to pry potential Chevrolet owners away from buying a Silverado, and instead seriously consider a Ford F-150. Who doesn’t love Oreos? 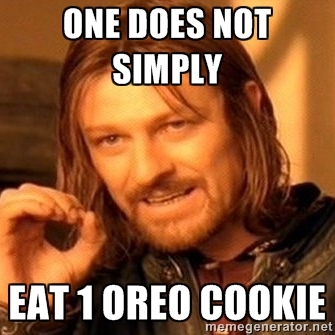 By far the best cookie on the market, and as the meme suggests, you simply cannot have just one Oreo, it’s impossible. While Oreos are in a class of their own, companies can learn from the loyalty many buyers have towards the brand. There’s a pride in the cookie and those who consume them. You may eat Chips A-Hoy chocolate chip cookies, but everyone knows Oreos is the most satisfying cookie, especially with milk. What we are seeing in marketing, is the growing loyalty and love for certain products and brands. These memes re-inforce the belief of consumers that what they have is the best. Memes aren’t just for products but also activities. People often post pictures with captions that make them feel superior for participating in a certain hobby, while others are looked down upon for not taking part. The bond between companies and customers is beginning to get more intimate. Not in terms of romance, but a friendship and loyalty is starting to develop, and it can only get stronger with more customers joining the ranks of Facebook pages and sharing their love for a product or hobby. This is making it easier on businesses to acquire repeat customers, especially with the help from those business’ social media accounts who actively engage with their followers. Marketing Matters: Is SEO Overrated and Outdated From A Customer’s Point of View? Business owners and companies around the globe are constantly looking for ways to attract customers and reach out to people. One of the most popular and well-known forms of marketing and advertising over the internet is by utilizing SEO and Google Adwords. But are the days of customers or future buyers using Google and being lead to a website that used the correct words to be at the top of search results coming to a close? The answer is yes, but many companies and even marketing consultants still preach SEO as if that’s the only way to draw in views and potential customers. Having recently bought a car, and currently reading Youtility that was co-written by Jay Baer, I’m beginning to see that there is a flaw in how businesses market and rely upon SEO. When it comes to the automotive world, think from a customer’s point of view, and apply it to other sectors of the economy. After a few weeks of research and narrowing down the list of potential vehicles, the first step I had taken was to visit Cars.com because of their reputation and history as being a place to find a wide variety of new and used vehicles. While they advertise on television, the years of it’s existence and it’s simplicity made it the perfect resource to see what my choices were. Next, once the decision came down to three vehicles, I didn’t go on Google searching information on the car so I could read endless pages and reviews, I went to YouTube to visually see, hear, and in some cases watch the reviewer drive the vehicle. Whether these individuals make money off of these 5 minute videos or not, it’s a form of marketing; video advertising. Once the decision was made and I found the dealership where the car I wanted was, I went to that dealer’s website, or the source that contains the product I want to buy. When I saw that it was available, I made the trip to go see it and later bought that car. The three steps that were taken to buy the product weren’t the traditional SEO or Google search that has been taught for years as the most affective form of marketing. 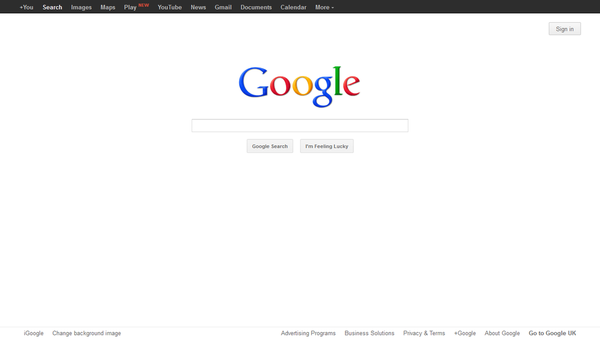 While this was and sometimes still is the case; visual advertising, reputation, and the source itself didn’t require SEO to get me to view, research, and later buy. So now let’s tie this into other examples and products or services that can use other forms of marketing that aren’t directly related to SEO. For instance say you’re a plumber, carpenter, electrician, or anyone who works on houses. You have the skills and the demand in the industry, but how do you establish yourself and break away from the rest of the other private contractors out there? Create YouTube videos, especially those that are simple tutorials that inform and help the viewer install an item or how to use a certain tool to fix a problem. This may seem counterintuitive, but most of the viewers won’t install or fix these things by themselves, they will call a professional and pay someone to do the work. By putting yourself out there, saying a quick blurb about who you are or what company you work for and your experience in the field, that pays immediate dividends over other forms of marketing because that viewer can personally see you. One thing to remember is that in this day and age with social media, marketing has to become personal. The customer or client must have a connection with the contractor, business owner, or the company before they buy into a service or product. The days of SEO are ending. The days of the customer using these Adword searches are ending. Helping these potential buyers visualize, answering their questions and concerns, and giving them the feeling of trust is the best and most affective way of marketing and advertising. There is a lot more that needs to be covered regarding other avenues that attract clients and customers in all industries. Over the next few weeks and months I will take an in-depth look at new ways companies are trying to reach people. Hopefully I can persuade you to take the next step into a new era of marketing and advertising that hasn’t been explored or used by many businesses and even marketing consultants. Reddit: Are You Willing To Take A Journey Into Uncharted Waters?